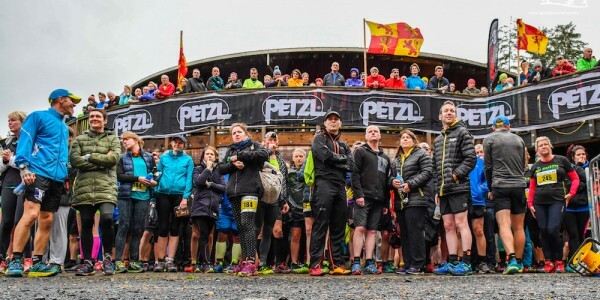 After the huge success of 2017, this year’s Run Coed y Brenin Ultra Weekend was always going to have a tough act to follow. However, organiser Matt Ward believes that the line-up of inspirational speakers, run guides and seminar tutors will rival any weekend in the UK in 2018. GB internationals and leaders of UK trail running Ricky Lightfoot, Damian Hall, Katie and Casper Kaars-Sijpesteijn, along with 2017 attendee Mike Jones, will be at the Trail School across the weekend of the 14th and 15th of April, 2018. 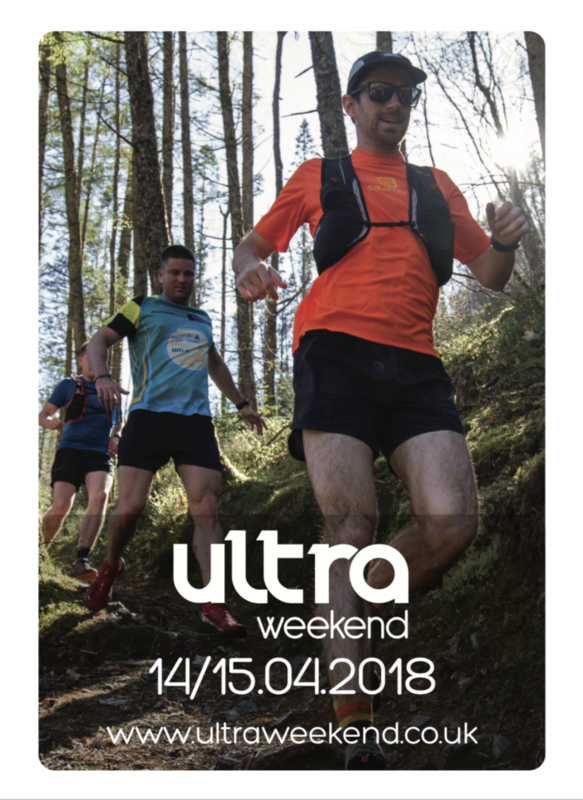 The Ultra Weekend will be a gathering of like-minded runners, from very beginners on the ultra journey to those who have completed many ultra events and simply want to hone their skills and knowledge, and learn from the best! 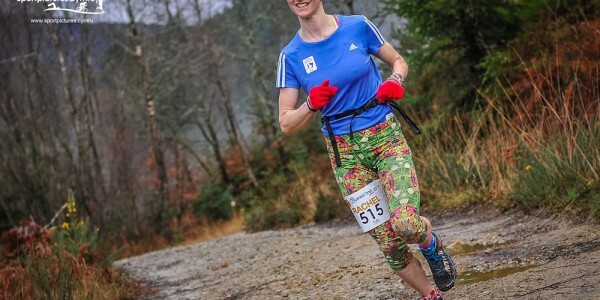 The Saturday evening will once again see local ultra runner Sandra Williams, owner of Sandra’s Suppers Cegin Maes Coch, serve up a wonderful vegetarian meal and the odd glass of wine! Throw in a bespoke event tech tee and soft cup courtesy of sponsors Salomon (RRP £45) and two delicious lunches and it all adds up to one amazing value-for-money weekend. 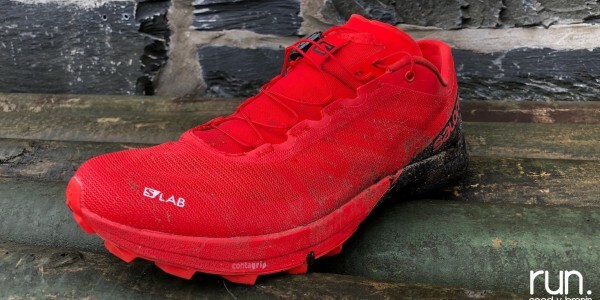 On a domestic level Ricky Lightfoot has won such classic mountain and trail events as the 3 Peaks, Wasdale, Borrowdale, the Red Bull Steeplechase and in 2013 became the World Trail Running Champion in Wales. Add to this wins at such global classics as Zegama and the Otter Trail in South Africa, and you can see that the Cumbrian will have a great personal story to tell as he guides attendees through training From the Marathon to an Ultra. Ricky will also be in attendance for the whole weekend to run with groups and speak one-to-one with runners in how they may be able to achieve their ultra goals. Damian Hall has seen a meteoric rise in his running career over the last few years. 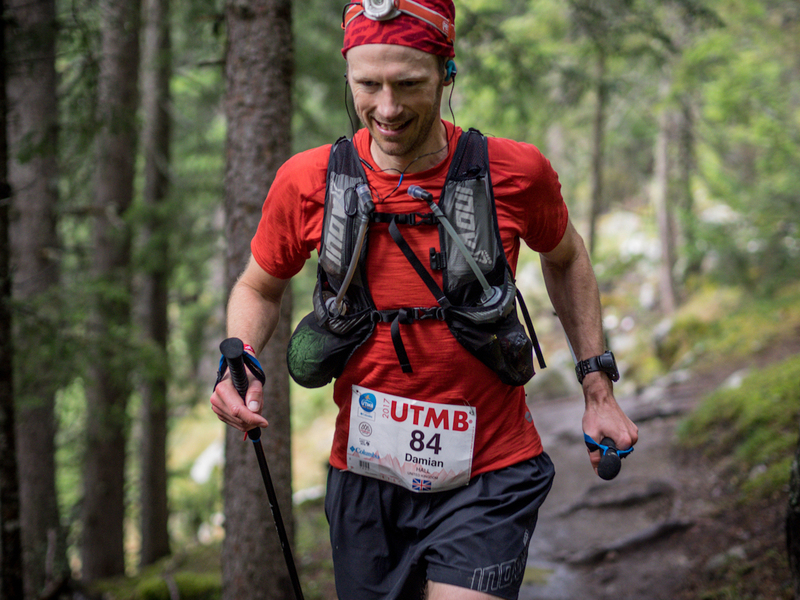 From journalist to international trail runner, Damian’s recent achievements have been a GB vest in 2017, 5th place at the 2015 Dragon’s Back Race, the South Downs Way record and the first British finisher at the 2017 UTMB. However one of Damian’s strengths (anyone who follows his social media will testify!) 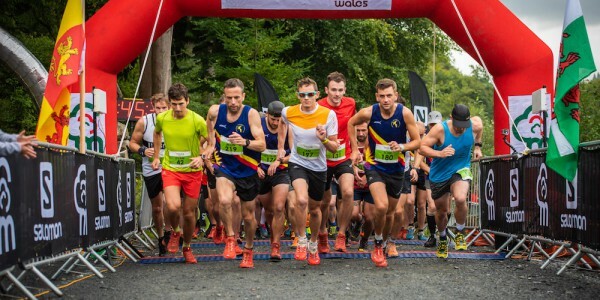 is his humour and down-to-earth approach to his running, which should make him the perfect person to deliver the Saturday evening post-meal talk at the Coed-y-Brenin centre. An Evening with Damian promises to be an hour of fun, inspiration and belly laughs, not to be missed! As with Ricky, Damian will be around for the runs and other workshops to add his knowledge and input some trail running gems. 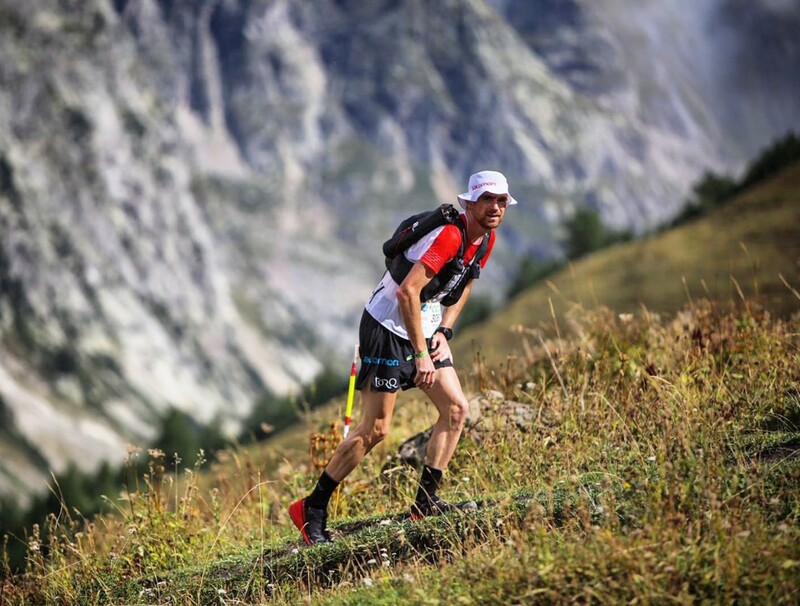 The world of trail, mountain and ultra running is littered with great husband and wife partnerships who have achieved great running success whilst maintaining a happy marriage. 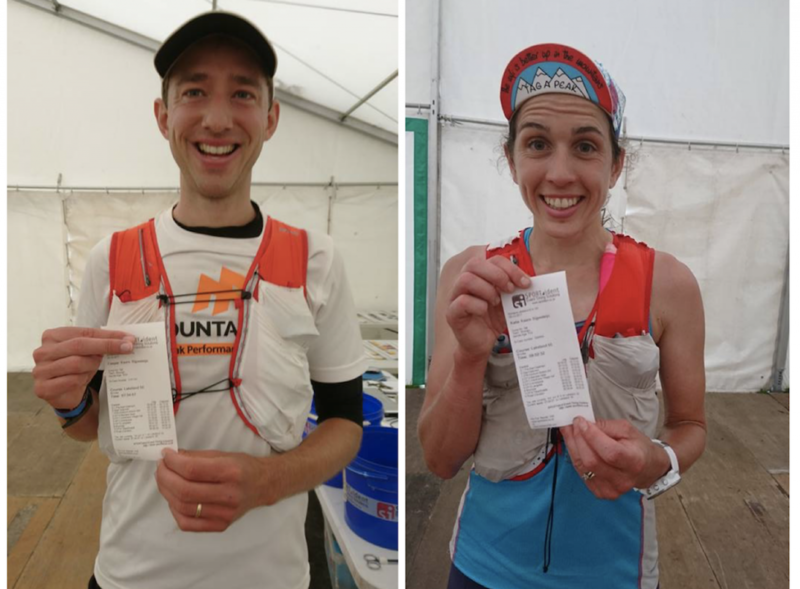 Katie and Casper Kaars-Sijpesteijn have burst onto the ultra scene over the last few years achieving success in both the UK and abroad, culminating last summer with them taking first male and first female in the Lakeland 50, both smashing the course records in the process! Katie will also travel to Italy just a few weeks after the Ultra Weekend to compete for the UK at the 2018 World Trail Championships. Their entertaining seminar will look at how to stay happy as a couple, whilst achieving success at the highest level, and Katie will also look at Women and the Ultra, in a Q and A style session. 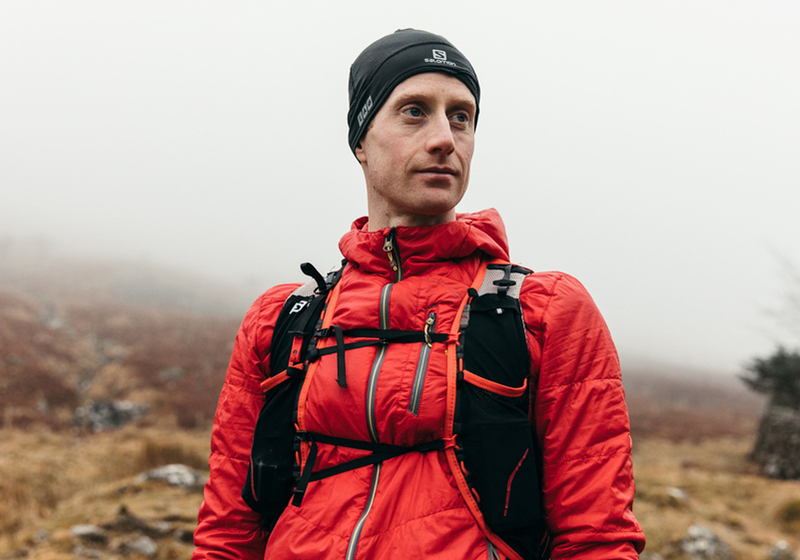 In 2017 UK ultra runner Michael Jones delivered a frank and revealing workshop on the psychology of the ultra runner and look at how runners can hone the power of the mind to overcome the challenges of ultra distance running and ensure that their mental aspect is as strong as the body when they tackle an event. This was one of the highlight seminars of last year. Last summer Michael won the Montane Lakeland 100, for the second year running, and then went on to finish a fantastic 8th place at the CCC in France later in the year. He also achieved several other wins and podiums in 2017, and is recognised as one of the most promising ultra running talents in the UK. Mike will join in across the weekend to guide, help out and rub shoulders with the Ultra Weekend crew. Adding a little bit more humour and a view from the ‘everyday runner’, ultra runners Sandra Williams and Elly Downing will present a View from the Back. This session is aimed at demonstrating that ultra running has a ‘family’ like no other. A vast number of runners are often there to complete the challenge, to enjoy it, to complete a life goal and sometimes not to take it too seriously! 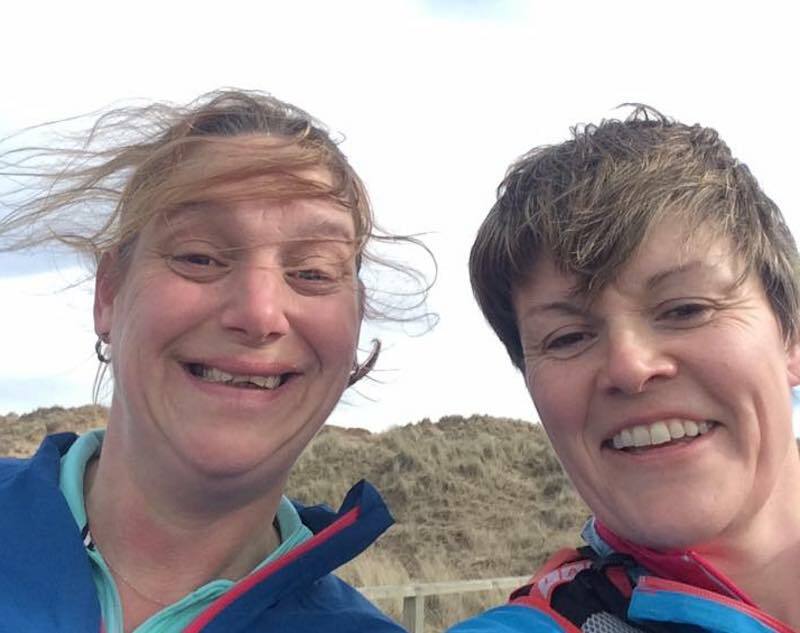 Elly (left) and Sandra – ultra buddies! To top-off the weekend 2017 Ultra Weekend photographer James MacKeddie will return to snap away and blog about what he sees across the Saturday and Sunday, delivering great insight and. no doubt some amazing images!